Somewhere off the coast of the Côte d’Azur in France, a sailing boat slices through the surface of the Mediterranean Sea. Nothing out of the ordinary, except that it’s pitch black in the middle of the night. The absence of moon light is the reason the crew chose this specific date. There is a small breeze, yet the engine is lazily humming. The sailing boat is heading straight offshore, leaving the blinding lights of Nice, Cannes and Monaco behind. On board, the captain keeps an eye on the GPS while the other passengers are all busy. It’s not a leisurely cruise. On the starboard side, a bright torch is pointing downwards, strongly fixed to a horizontal mast about two meters above the surface. Since dusk, it has been illuminating a well-defined patch of water. A tiny confetti of color, drowned in a sea of total obscurity. Fully absorbed and hypnotized by this small patch of light, a man is standing with a hand-held tally counter, clicking away every few seconds. He is safely attached to the boat with a harness. Here and there, strange forms appear for a fraction of a second through the beam of light. Suddenly, the clicking intensifies. On board, heads turn around. Apparently, they found what they were looking for. 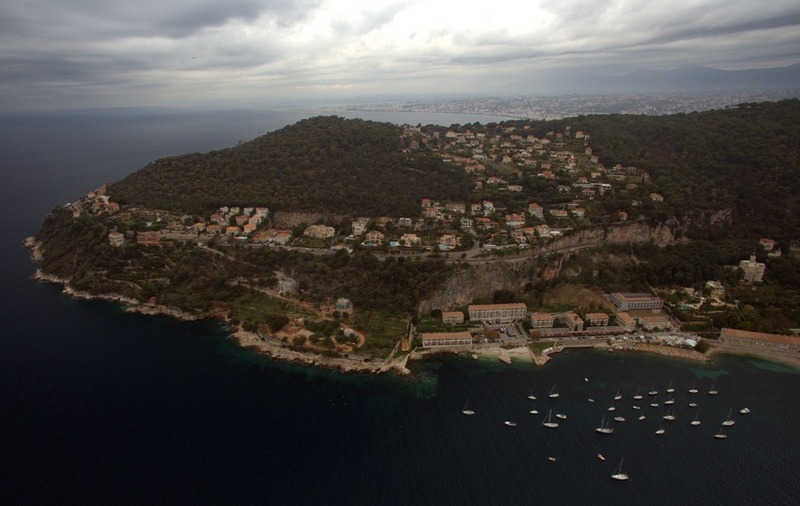 36 hours earlier, in one of the high-ceilings rooms of the Galériens building belonging to the Oceanological Observatory of Villefranche-sur-Mer, a phone is ringing. The premise’s occupant storms in, his hands still wet with water that has been artificially altered in order to measure the impacts on various marine organisms. On his desk, the computer barely sticks out of the mass of files and various papers. On the walls, shelves threaten to give way under the weight of large scientific books and folders. There are also a few kid’s drawings, next to stuffed jellyfishes. The room is flooded in natural light coming from a tall window, looking directly on the bay of Villefranche. The Mediterranean Sea is so close to the old building, that it seems possible to stretch an arm out to collect samples. – Ah Fabien, it’s Alain on the phone. It took you some time. You were in the lab? – Yes, I was checking some of my students’ work. – I was calling to let you know, the weather forecast looks perfect for tomorrow evening. There won’t be any moon, and very light swells. If it’s okay with you, we can meet on the docks at 7 pm with all the gear ready? – Fantastic! Let me call the rest of the crew to give them the news. See you tomorrow. 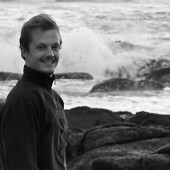 At 7 pm sharp the next day, Fabien Lombard, researcher at the Oceanological Observatory in Villefranche-sur-Mer and plankton expert, meets up with Alain Garcia and Chantal Dumas, the owners and captains of Alchimie, a 35-foot sailing yacht recently upgraded to welcome scientific missions. Tonight’s objective is to go out and hand count populations of jellyfish until 5 o’clock the next morning. It’s going to be a long night. 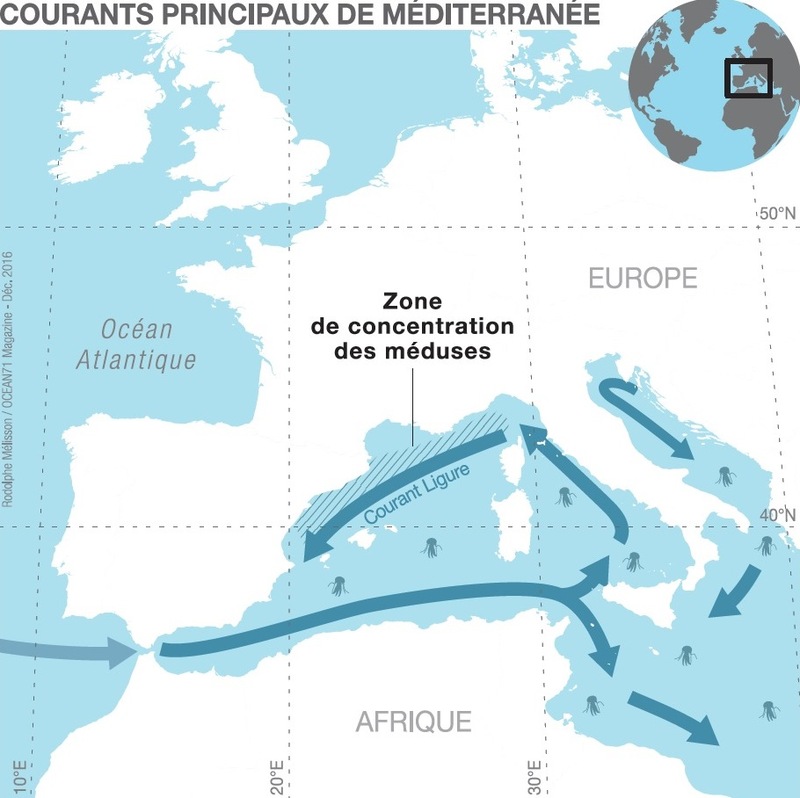 One of the specifics of the Mediterranean is its counterclockwise rotating marine currents. Which is the opposite of the clockwise rotating gyres in all of the oceans of the Northern Hemisphere, dictated by the Coriolis force. “In the oceans, Fabien Lombard adds, we tend to find jellyfish where the plastics congregates, in the gyre’s center. That’s where any floating object gets trapped by the circular movement of the great oceanic currents. 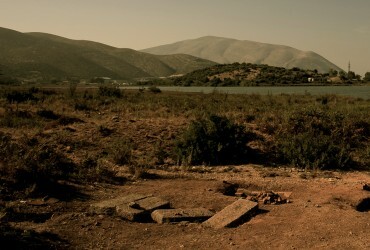 In the Mediterranean, it’s quite the contrary. 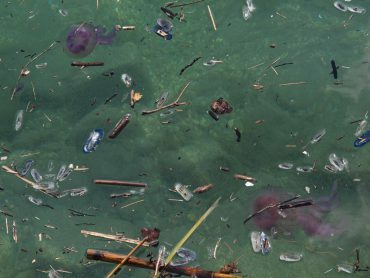 The plastic and the plankton will accumulate on the edge of the main currents.” In the western Mediterranean basin, it’s the Ligurian current that stirs and channels the planktonic system, which are all the living organisms unable to escape its flow. Amongst the dead leaves, driftwood and now inescapable fragments of plastic, an important portion of the aquatic life can be found: the essential foundation for the entire marine food chain. The cycle of life starts with the phytoplankton, tiny photosynthesizing organisms. During the winter months, frequent storms stir the sea with such force that they are dispersed in all of the water column. During the calmer months of spring, they surface back up and take advantage of the lengthening days to create organic matter through photosynthesis. 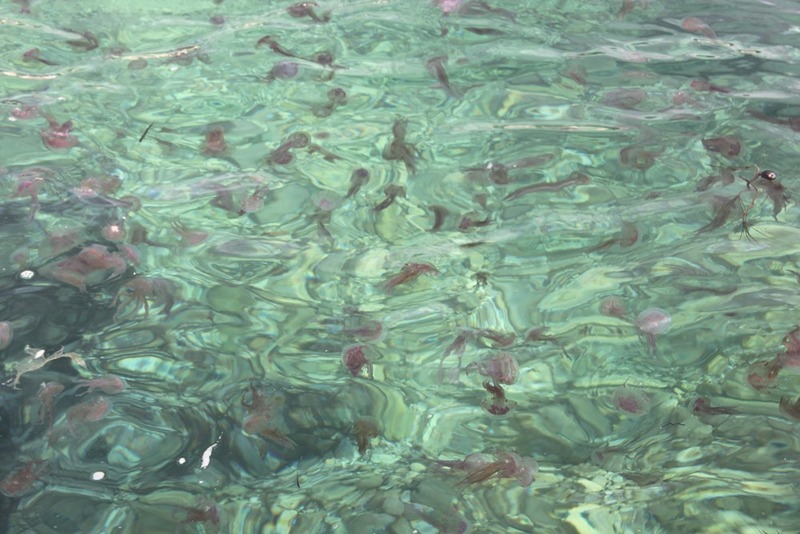 Their proliferation is what sustains the zooplankton, the animal part of the plankton. As these organisms grow and reproduce, they attract hungry pelagic predators that swim in the sea, and so on. Teeming with microscopic life, the Ligurian current is the Pelagia noctiluca’s kingdom. Trapped in the eternal flow, this jellyfish only swims vertically, from the depths to the surface and back. 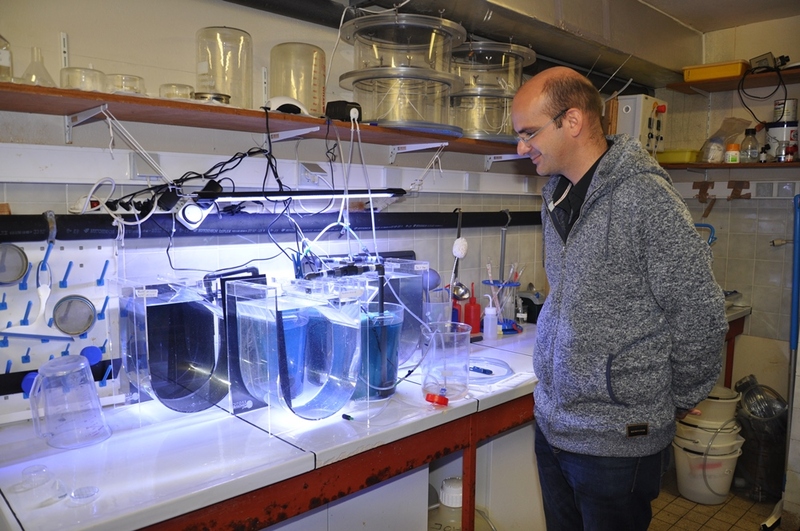 “During nighttime, says Fabien Lombard, they come up to feed on the zooplankton while avoiding their predators. But when the moon is full, there is enough light to deter them to reach the surface. 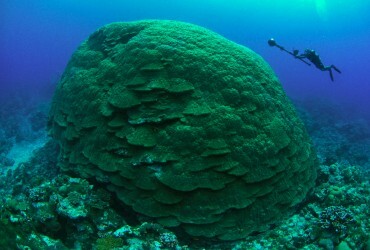 They rather stay several dozen meters deep. We know there are right there, all year round, but we are incapable of seeing and counting them. It’s the same when the swell reaches a certain height. They don’t enjoy being shaken around by the waves, so they stay in the security of the depths.” Therefore, the only way to see and count them is to sail out when the sea is particularly calm and the sky moonless. Suffice to say that occasions are rare. Villefranche-sur-Mer offers nonetheless an ideal base camp to launch these missions. The bay acts as a natural port, and the seafloor drops to a thousand meters deep or more after only a few miles. 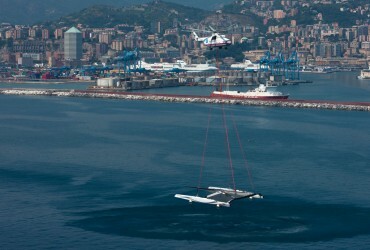 This allows scientists to reach high seas conditions without having to sail for hours. Through the years, the Oceanological Observatory thus became one of France’s most important marine stations for the study of the Mediterranean Sea. It is today part of the Pierre and Marie Curie University, and many students attend classes given by distinguished professors. She came to the conclusion that this species is present all year round in the Ligurian current and that its population explodes in the spring, when the available food is abundant. When the conditions are just right, a specimen can go from juvenile to fully mature in less than two months. The rest of the year, when the food is scarce, the Pelagia noctiluca stops growing but it never stops reproducing. “It can lay up to 19’000 eggs a day, Fabien Lombard adds. In the laboratory, we kept specimens for up to 22 months, which is long for a jellyfish. It means that the adult individuals we see in the sea were born the previous year.” When they are cut off from their food source, they can shrink and lose 90% of their body mass, but never stop laying their eggs, regardless. 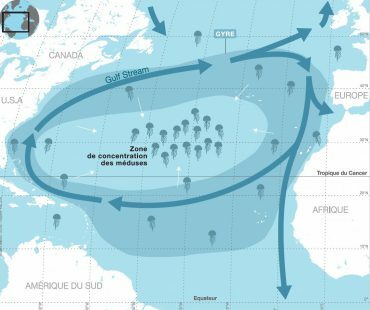 After several years of research, the scientists developed a “jellyfish weather forecast” which became quite precise depending on the location. By cross-referencing the abundance of jellyfish in the sea with local current and wind predictions, the tool could pinpoint which beach may see an arrival of stinging animals. 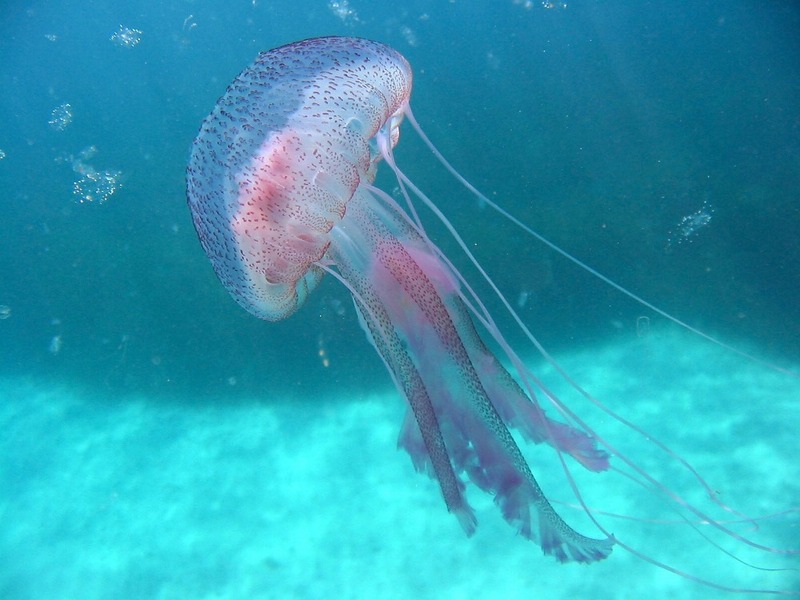 “It’s interesting to notice that a year with an abundant population of jellyfish in the sea does not necessarily result in greater numbers of burnt victims, Fabien Lombard says. In 2013 for example, there were many more Pelagia noctiluca than the previous years, but the winds and current oscillations hardly ever brought them towards the beaches. 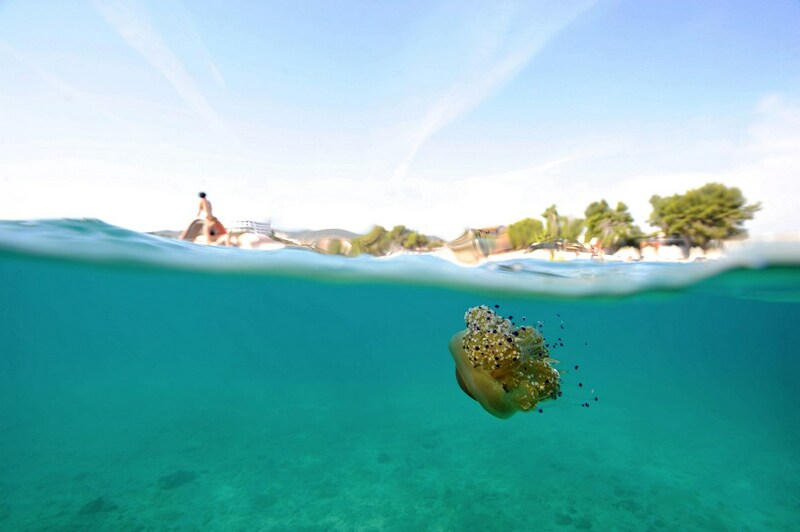 On the contrary, in 2012, there were 10 times less jellyfish in the Ligurian current, but many more burnt bathers on the coast.” Some municipalities didn’t think a tool this precise was such a good idea, and the project was abandoned. 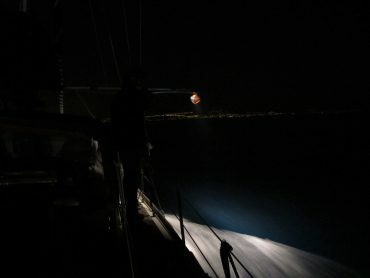 It’s 5 am, and the Alchimie finally reaches the port of Villefranche-sur-Mer after a night-long expedition. The crew is exhausted, but the arms of Morpheus are still a few hours away. The boat needs cleaning, and the scientists need to bring back and organize all of their samples and gear in the laboratory. They are part of an international army dedicated to better understanding an animal which, according to some specialists, threatens to conquer every ocean of our planet. 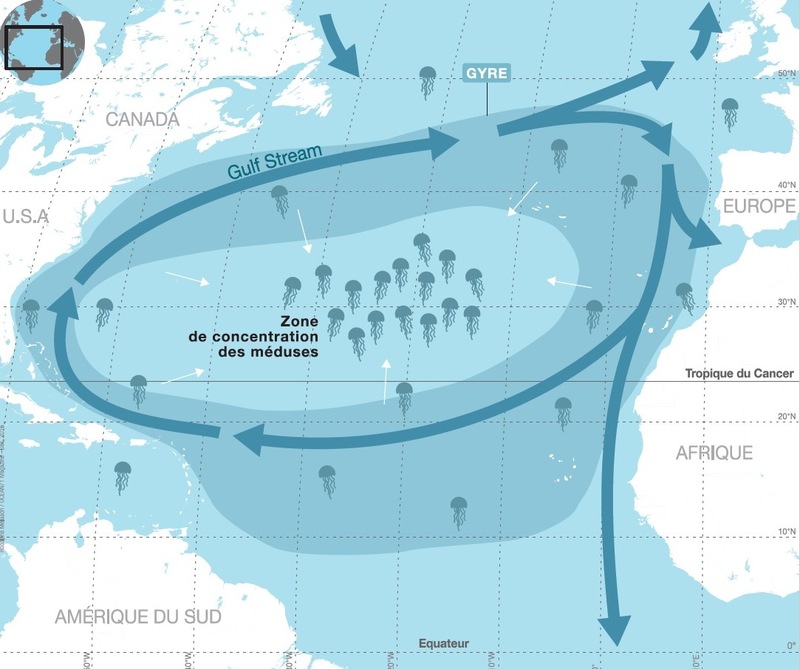 Every year, the list of coastal regions that experience problems with jellyfish pullulation seems to grow longer, and many questions remain unanswered. Researchers are desperately trying to fill the gaps, but long-term reliable data is lacking. The scientific community is divided. In 2017, it’s with the help of a sailing boat in Villefranche-sur-Mer that this precious data has been collected. The early experiences in the 1990s seem like a lifetime away. Back then, the NASA sent hundreds of jellyfish in space to measure the effect of absence of gravity on their orientation abilities. Today, along the discoveries, these animals reveal incredible and hidden talents. We are only scratching the surface of these gelatinous species that have been swimming in our seas and oceans for the past 600 million years, surviving five great animal extinction episodes. They seem to be invading our coasts, yet they could very well help the humanity beyond some of our wildest dreams. Jellyfish, friend or foe?